Taylor. August 11, 2004 – April 24, 2015. This entry was posted in General on Fri 24 Apr 15 by Josh. I’m so sorry, Josh and Mary, to hear about Taylor’s death today. I know you had talked of her seeming more frail and showing her age more in the past few months, but this still hits me as sudden. I like the picture of her you chose to post today. She was a good dog. Yeah, sudden-ish. I thought she might make it through the summer, but she just kind of crumbled the past few days. 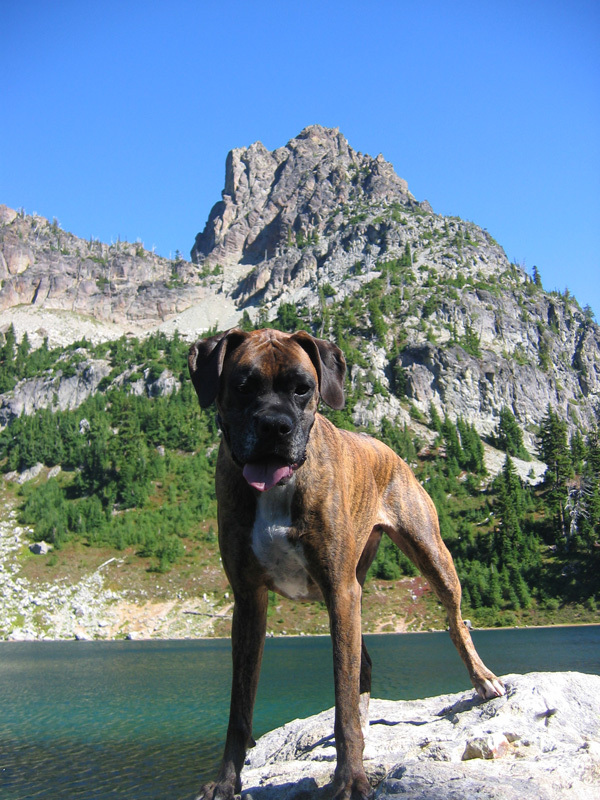 The photo is from a 2009 hike in the Alpine Lakes Wilderness with her and Trammell. Goofy-faced dog.